Sharon Bala lives in St. John’s where she is a member of The Port Authority writing group. Her short story “Butter Tea at Starbucks” won the prestigious Writers’ Trust / McClelland & Stewart Journey Prize in 2017. The Boat People is her first novel. Please visit SharonBala.com. "Timely and engrossing...This is a powerful debut." 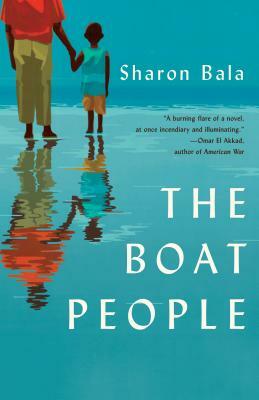 "Rooted in actual events, Bala uses the tools of fiction to excavate the human truths hidden under the headlines...The Boat People is a book perfect for our times, essential reading to bring context to questions which we are, perhaps, more inclined to ignore." "A multifaceted debut novel...Cinematic details transport us to a tension-rich drama...Bala moves fluidly from past to present, mixing memories with current crises...Such juxtapositions build and maintain suspense all the way to the last line, where readers are left hanging, as if justice is in our hands."